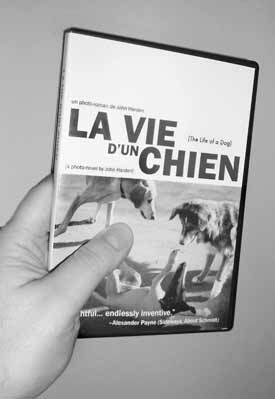 Yes, it’s true: you can own your very own copy of “La Vie d’un Chien,” everyone’s favorite French-scientist-turns-into-dog movie. $19.99 gets you a DVD-R (lovingly burned on my PowerMac G5, guaranteed to work in your DVD player or your money back). Comes in a nifty case w/cover art just like you see here. That price includes shipping anywhere in the USA. (Ordering outside the US? Please see below) For purchase with VISA, MC, or PayPal, click on the BUY NOW button below. For foreign orders, please use the button below. It adds four dollars, for shipping the DVD anywhere outside the US. If you have any problem completing a purchase, please let me know.